I was searching the internet yesterday to see if I could find out anything about an artist who signed his work – H. Lewis. 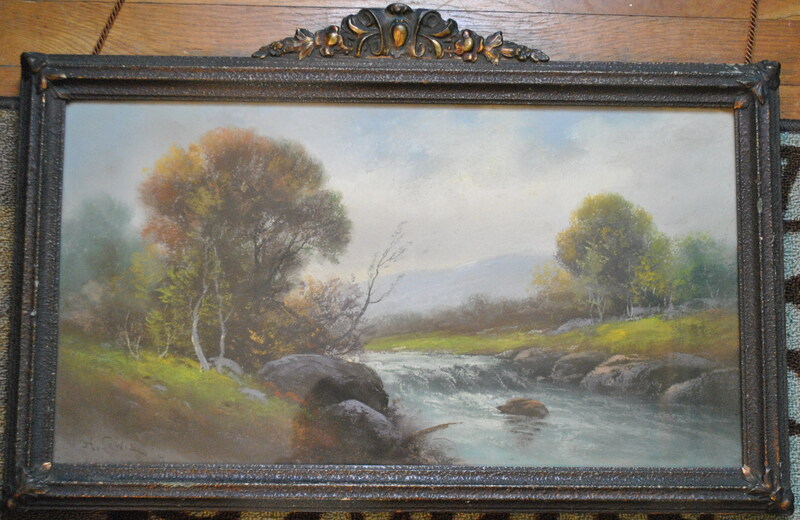 My wife and I bought a pastel landscape of his about 30 years ago at an antique store where we live in Wyandotte, Mi.. It hung in our dining room for several years until we redecorated and then it went into storage. Our son moved out last year and we redid his room. 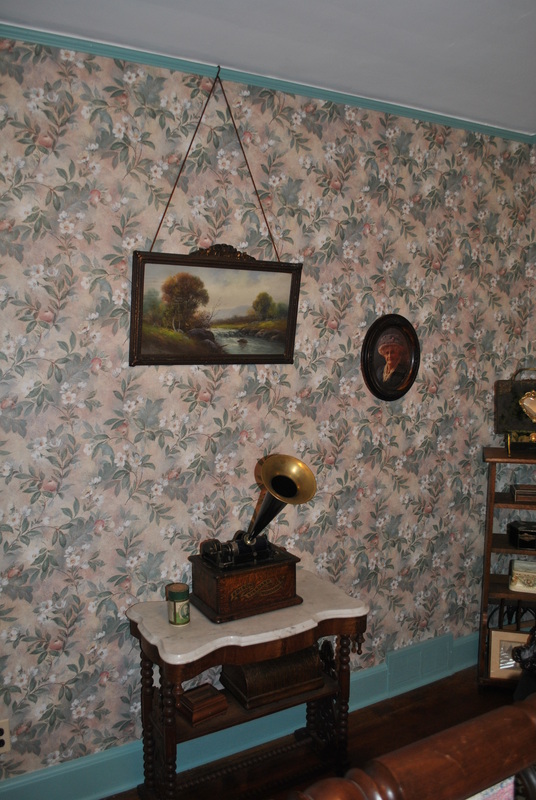 Now a guest room filled with many of the antiques we had in either the basement or the attic. Well, John and Kim, I very much appreciate you contacting me and allowing me to share your piece here. It gives me great pleasure to know that my great-grandfather’s art dons the wall in a room made so lovely by the antiques and art you are displaying. I’m sure that is the original frame, as well. As you can see from the other photos on the website there are several with decorative frames, but it seems no two are alike. My brother John has two chalks that we grew up with, so I love that style. Your antique room is a perfect place for it. I hope this encourages others to send me photos of their H. Lewis art, because I would love to display every piece. This entry was posted in The Art and tagged 19th century art, 19th century artist, American artists, H Lewis, H. Lewis art, H. Lewis artist, h. lewis signature, H.R. Lewis, HR Lewis, Hubert Lewis, Hudson River School, John Hundley, Kim Hundley, Painting, Pastel, pastels, Pennsylvania. Bookmark the permalink. I bought one of Mr. Lewis’s Paintings and ran across your blog. I wanted to Share it with you. As you can see the years haven’t been kind to it. It needs a good cleaning and his work on the frame is beautiful but part of it at the top is missing and needs to be repaired. It has been in my home about a year now. And times have gotten tight with money. I want to make the repairs,I just don’t know when. I will send pics once it has been restored.